Josh Fox recently appeared in London as part of a Financial Times (FT) discussion panel focused on fracking and its potential within the United Kingdom. He was asked about his false claim of having received a $100,000 lease offer from a gas company and, once again, dissembled by claiming he got it by being a member of the Northern Wayne Property Owners Alliance (NWPOA). At the Financial Times conference in London recently, Josh Fox claimed, once again, that the proof of his membership to NWPOA were the 50-60 emails that were received by his father. I don’t doubt that Michael Fox signed up to receive those emails, but the receipt of them proves absolutely nothing. Parasite: an organism that lives in or on another organism (its host) and benefits by deriving nutrients at the host’s expense. Josh’s claims to be a member of NWPOA is the equivalent of a tapeworm claiming to be a member of the family. Feeding freely at the expense of an organism, or in this case, an organization, does not constitute membership but rather a parasite/host relationship. There were hundreds of others who did likewise and signed on to receive the prolific emails. Even Tom Shepstone confesses to having done this! In the loop distribution there were also many who we called antis, people who had no intention of ever signing a lease, who received the loop emails. We were aware of this because the antis knew what went out to the loop as soon as our executive director hit the send button. So, there is no doubt the Fox family received emails. However, had Josh read them more carefully, he would know how easily his insane, absurd, false claims of membership could be refuted. Let’s follow the history of this, and combine those emails with steering committee meeting minutes, to get to the facts, those horrible things that Josh Fox likes to avoid. According to the minutes of the March 22, 2008 steering committee meeting, there was discussion regarding what to do with non-payers and late comers. Both groups were removed from the database and put on a separate list and were to be added back in as the $25 donations were received until the date that the database had to be submitted. A motion was made, seconded, and approved to accept late-comers through the website (www.nwpoa.info) only, until midnight on March 26, 2008. The $25 donation had be received by March 31, 2008. Anyone else would be put on a waiting list. This was the first time that NWPOA closed its membership. This is extremely important. With two sets of people, members and non-members now in the group, a new email delivery system was initiated. 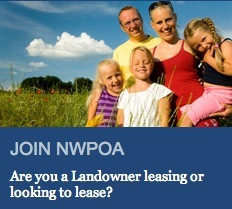 Nonpaying potential members received emails sent to info@nwpoa.info. So, emails received this way were even more proof of non-membership than membership. Those who had paid the $25 fee, dues, donation, whatever you wish to call it, received emails sent to members@NWPOA.info. Often the same emails were sent to both groups. Even if the greeting said “member,” the audience was unpaid potential members if it was sent to info@nwpoa.info. According to the minutes of the June 14, 2008 steering committee meeting, there was discussion regarding Section 3.02 of the Operation Agreement referring to membership dues. A motion was made (by yours truly), seconded, and approved that the $25 donations already received be considered as the membership fee; and if the waiting list people were accepted, that their $25 donations be considered as their membership fee. Another motion was made, seconded, and approved to keep the waiting list as such until the next steering committee meeting. According to the minutes of the August 20, 2008 steering committee meeting, the final topic of discussion was the waiting list. A motion was made, seconded, and approved that if negotiations were favorable with Hess the following Saturday, we would accept the waiting list as members and start accepting their $25 donations. The following email went out to info@nwpoa.info or nonpaying potential members. This is the email of which Fox sent the bottom portion to The Washington Examiner in an attempt to prove membership. The subject and greeting say “members” but, at the very bottom, it refers to people who already sent in checks that were being held and would be deposited. Those folks were instantly members. It also says that ALL original members had already paid. Then, there is an invitation for the rest to contribute their $25. This is the date that Josh claims they became members. It’s Official. You are not Wait listed anymore! All wait list members have been approved for addition to the membership list of the NWPOA by the steering committee. Welcome to the NWPOA where unity has made a huge difference to our community. In the past week or two, some of you got emails or phone calls to verify your property tax control numbers. Especially those of you in Susquehanna County. It has been a challenge to sort through the unique and varied numbering system that Susquehanna County has in place to identify the blocks and lots of your parcels. The Susquehanna system in place, mystifies complex computer programs designed to quickly sort through and categorize property data. What that means is that it is impossible to use these computer programs to organize the data from Susquehanna County Members. I heard you folks like that because no one can find you if they want to. But I don’t really believe that rumor. I think you had an older system that has always worked fine for you until the new challenge of Gas activity arose. What that meant for the Alliance volunteers was that a great deal of hand work had to be done. Each potential member had to be contacted to have a consistent number used. The number actually located you as well as identified you. But it took hours upon hours to complete. Thanks to each and everyone of you for being patient while we confirmed and reconfirmed the membership numbers. Thanks to those of you who sent in your numbers via email and those of you who called in your number data. And all of us owe a big thank you to the Data Team for their tireless and meticulous work or correcting and recording the information. All original NWPOA members have sent a $25 member donation to the NWPOA to help off set ongoing expenses including the retainer fee for the Oil and Gas attorneys. At this time we would like to invite you to contribute your $25.00 donation to the Alliance as well. Some of you submitted checks earlier which have been held. Those will be deposited now. Soon after this, the economy tanked, natural gas prices plummeted, and talks with energy companies came to an abrupt halt. So, fast forward to the summer of 2009. The above email proves no one was ever forced to sign. But, if Fox dropped out in February, as he claimed through his publicist, then all of this is moot because he would not have received any versions of the lease other than through a forwarded email and then only draft versions, never the final ready to sign lease from the printer that would have included his personal information or one which remotely constituted an offer. Subject: You may get excluded from future offers! I am emailing a group of you because I know that in this group there are more than 350 of you who have been faithfully getting emails. We have shared information freely for all of us to become more educated working toward a responsible way to partner our Marcellus shale gas. If you are getting this email you were actually added a bit later to our Landowners Alliance. All of the earlier Alliance members contributed a $25.00 donation to help offset the out of pocket expenses to run our all volunteer membership organization. We have never asked for a penny more. But in this email group there are 350 add on members who have never sent in a donation of $25 to be carried into full membership of the NWPOA. It is time consuming work to separate out each of the 350 of you who have not contributed to the property owner cause. Since it takes to long to separate out each of you who did not contribute I am emailing to the group of you, some who did make the donation and some who did not make it. What is fair is fair, other people gave $25 and their donation has carried YOU and us a very long way. Now it is time for you to contribute too. Make sure it is post marked no later than 6/26/09. Put in a note with your name address and phone #. We are finalizing all the data on the NWPOA data base. If you wish to have your land included on the data base for possible offers you must mail in the $25.00 donation. If we do not get your check we will assume you are not interested in being included in the NWPOA Data Base. We will not proceed with verification of your information and posting in the updated Data base. In plain and simple words you will not be added to the new revised list. Being placed on the list does not mean you will be expected or forced to sign a lease it just means you will be included in the final offers so that you can make the choice. If you have sent in your $25 you can disregard this message but to the 350 of you who have not sent in your $25 please do so if you want to continue to be included. General membership to NWPOA closed once more at midnight on June 21, 2009. Folks were advised that the energy companies said there could be a secondary list in the future. Notice this email was sent to info@nwpoa.info and the greeting states, “Hello info loop members.” That’s all they were. They were not members in good standing. I hate to do this kind of email but not all things in life are pleasant. There are 125 of you on this list. So 125 of you are getting this email. You are getting this email because our records show that you have not sent in the 25 $ donation. If you want to stay with the NWPOA as a member in good standing you really should try to send in the $25.00. I know times are bad and money is tight but it is for all of us regular people. Everyone in the Alliance are volunteers for no pay, free! But now we need to rent a bus to testify before the DRBC on July 15th, rent space to do Community Meetings and pay to print up leases. Every one else has donated 25$ to keep the community ball rolling in this gas lease project. Last time I asked you about this there were 350 of you now we are down to the last 125 non paid members. If it slipped your mind please try to mail the $25 right away. If you think you got this message in error let me know or call Betty Sutliff at 570 224 4840. Talk about women being fickle, well I don’t want to hear that any more. I am sure that 8 attorneys in a room together pouring over a lease document are more fickle!!!!! We were supposed to have a completely cleaned up version with all the it’s dotted an it’s crossed by Tuesday. But that did not happen so we waited for the management attorneys to do their internal work. I waited till the last possible moment, hopeful that the next version would be the last. Now we are out of time. But as you can see it is taking shape beautifully. So you are getting the draft as it is: PRESENTING THE HESS/NWPOA DRAFT LEASE FOR YOUR REVIEW and comments. So the best I could do is give you a current working draft. It is basically version 11 of the original nwpoa draft lease, ( I might be wrong on that it might actually be version 22 but who’s counting) In any event the essence and language is here for your review. It should help you with your many questions and also help you formulate more questions that are meaningful for this weekends Meet and Greet meetings with Hess. I know many of you are disappointed that I could not get it to you sooner and I apologize. It was out of my control. 1) What you have here is the draft of the ZONE 1 lease, Those of you who are in ZONE 2 will have the same lease form but your 3. 1 section Primary Term – Exploration Phase and Your 3.2 Primary Term- Development Phase will be worded to encompass the different payment terms for ZONE 2 lands. 2) Hess & Partners also stated they want to incorporate in this section the commitment to drilling the minimum # of exploratory or test wells. That language is still missing from this version. There are still some minor tweaking to be expected and possibly some additions from The other PA landowner group SWOOG who are still conducting their internal review but I don’t think they will need that long to complete their analysis. 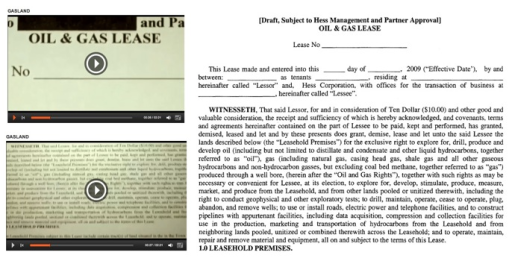 Hess wants to use the same lease form for all. The SWOOG goals are parallel with ours. 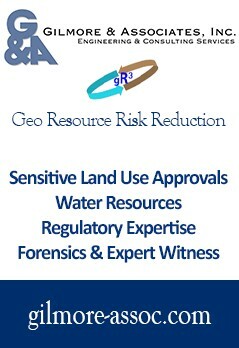 Also Hess has the operating partner companies who need to complete their review as well. So read the lease draft carefully try to understand the concepts and jot your questions down. Remember to forward to your friends and neighbors who are not getting emails right now and if some of you could print out an extra version to take to the neighbors that don’t have computers that would be greatly appreciated too. If you have elderly folks that could use a ride to the meeting offer them a ride. I will see you with the Hess Team at the meetings! This is a very exciting time for us all. PS If you can’t open attachments don’t worry I will send it in the body of an email as well. Stay tuned for that next email with the lease in the body of the message. As you can see, that email went out to both paid members and non-members @ info. People were encouraged to forward the draft lease to friends and neighbors. This undoubtedly is the version that was shown in Gasland, right down to every last mistake. There are over a dozen discrepancies between this draft and the final lease, far too many to enumerate on here, but proof beyond a shadow of a doubt that what was shown in Gasland was this draft lease. There were something like eleven different versions of the lease before the final one that was sent to the printer on July 25, 2009. The draft version shown on Gasland was most definitely this particular one. There were even a couple more drafts between this one and the final one. I suspect Josh used this one and not the one sent out on July 25th because that one had a huge DO NOT SIGN watermark across it. Here is a copy for you to “read only” of the final ZONE 1 and Zone 2 lease. Do NOT SIGN THIS. This is what you will be signing on your signing day. The schedule for signings will be sent to you tonight. This lease is basically the same as the earlier version you were emailed. The only changes are it is formatted for legal paper and it has signature pages attached. The water testing language was improved for clarity and some punctuation was done. If you had your personal legal advisor do a review of the earlier one he/she will find this one is the same in principals. There are no substantive changes. Please print it out for neighbors without email or forward on to neighbors who are not getting the emails. Keep the community communications going! Talk to one another. Don’t worry if you can not open the attached leases. I will immediately send them in the body of an email for those of you who have troubles opening attachments. We are at the finish line! About to close one chapter in our adventure book and about to start a new one! Notice this email says that the only difference between this July 25th draft and the one sent to the printer is that the final lease will be imprinted with your personal information from the NWPOA Data Base. Again, the directive was given to share the draft lease. Copies of draft leases were shared freely, but the only people who got moved into the NWPOA Data Base were the ones who paid their $25. Since we received not a nickel – zero, zip, zilch, keine, nada, none – from either Michael or Josh Fox, their personal information was NEVER added to the NWPOA Data Base. They NEVER got a final, legal, ready to sign lease (and the lease wouldn’t have generated $100,000 either, but that’s another story). So, enough of the chicanery, Josh. 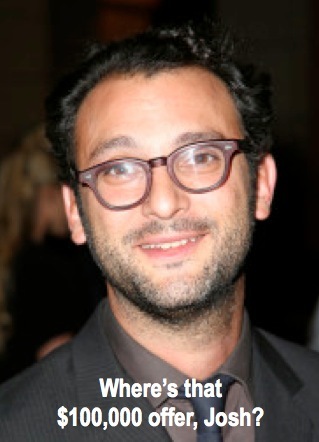 Josh Fox is a liar plain and simple….. When he decided to make his movie he only had one thing in mind $$$$$$$. He saw an opportunity to cash in on fear produced in Hollywood fashion and he took it. Am I the only one that remembers his statement that the movie was solely for entertainment value at the Sundance Awards. Great article Betty! Shows that not only has Josh Fox undoubtedly been lying, but also how transparent and inclusive the NWPOA is! 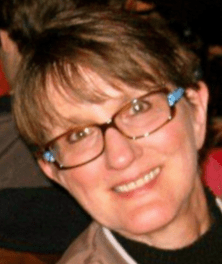 Pingback: Fracking Fighters Are An Admission of Defeat: Who's Funding Them?